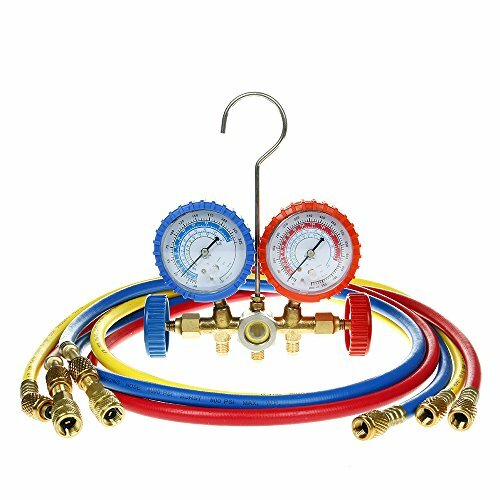 Test your automotive air conditioning systems with this Manifold Gauge Set. This set includes high pressure and low pressure dual color-coded gauges, large and clear dials, quick-disconnect valves and three 60" charging hoses. It provides all the required tools in one unit, you can easily and safely test, diagnose and recharge any A/C system with this basic set of manifold gauges.